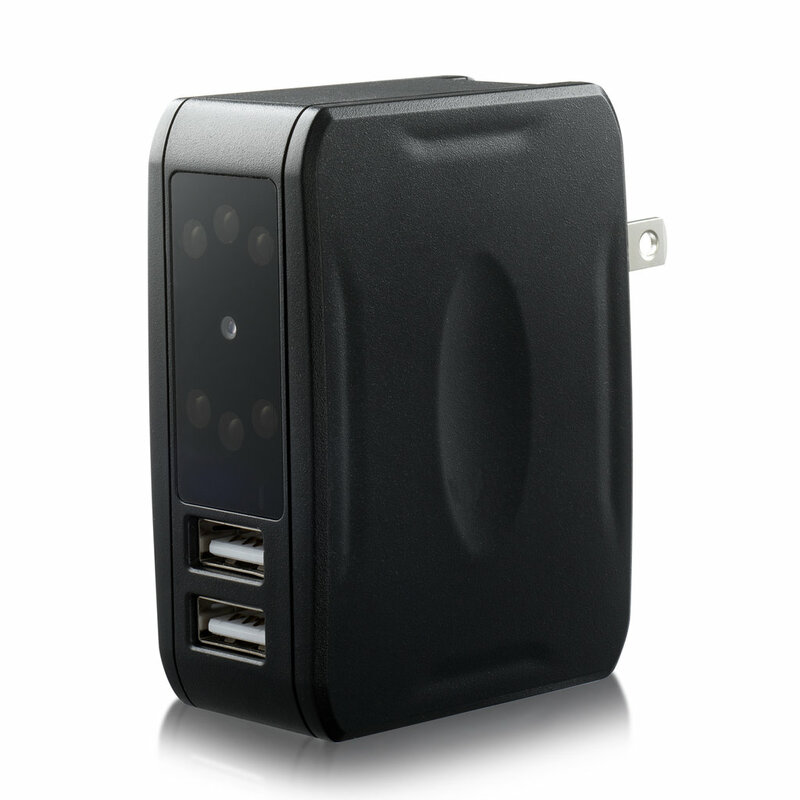 The IPS-40 Dual USB Adapter with Night Vision Hidden Camera is an easy-to-use hidden camera that can go virtually anywhere without raising suspicion. It records full 1080p HD video even in complete darkness. Just plug it into the wall and you can keep an eye on your nanny, watch out for unwanted intruders, or make sure that your housekeeper is doing their job. 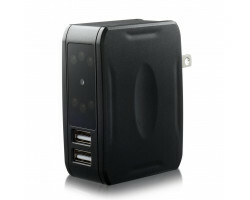 Protect your personal property with the IPS-40 Dual USB Adapter with Night Vision Hidden Camera. When it comes to covert surveillance, the IPS-40 Dual USB Adapter with Night Vision Hidden Camera is a great choice. It looks and works just like a normal wall charger. 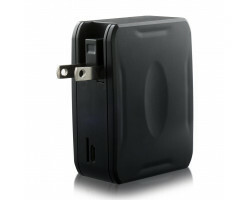 You can use it to charge your iPhone, tablet, or anything else that uses USB power. If you suspect that someone has been tampering with your belongings when you’re not around, you can capture all the evidence without anyone being the wiser. The camera records full 1080p HD video, picking up faces and other important details clearly from across a large room. It even records crystal-clear video in complete darkness from up to 10 feet away. The camera will automatically switch to night-vision mode when there’s not a lot of light in the room. If someone breaks into your home or office in the middle of the night, you can rest assured that the IPS-40 Dual USB Adapter with Night Vision Hidden Camera will capture all the evidence. You can store up to 32GB of HD video on the IPS-40 Dual USB Adapter with Night Vision Hidden Camera when you purchase a separate memory card. If you want to make the most of your storage space, you can use the loop recording feature. This means that the camera will automatically write over your old files when the memory card is full. You can relax knowing that you will always have enough space for new recordings. 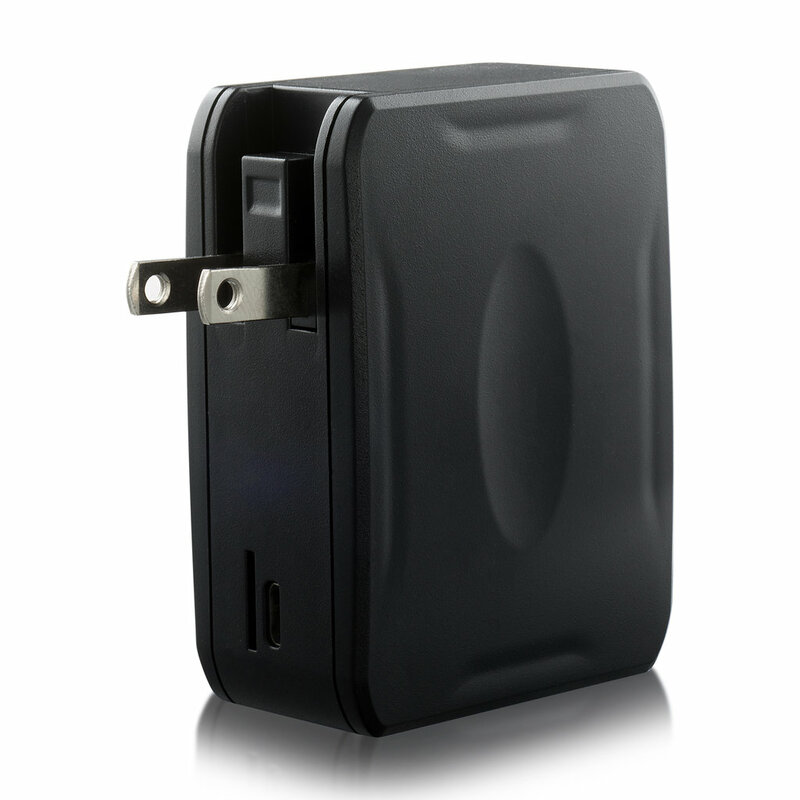 You also don’t have to worry about recharging the battery on the IPS-40 Dual USB Adapter with Night Vision Hidden Camera. 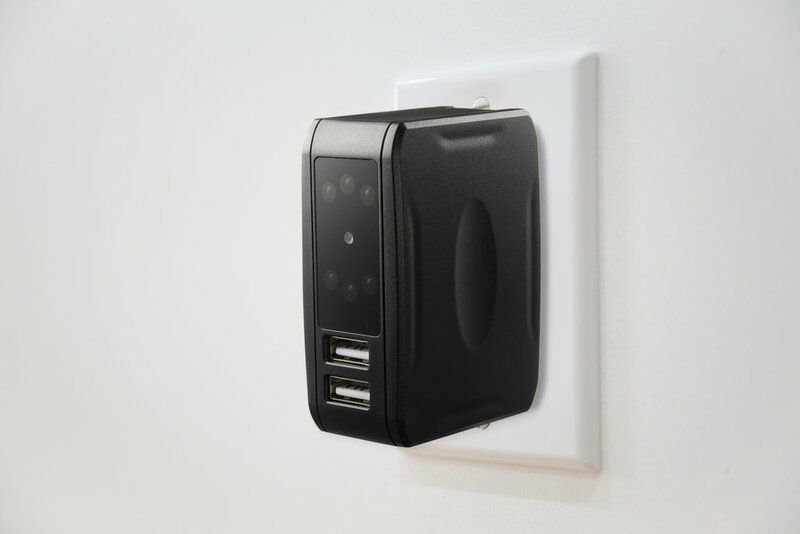 The camera plugs directly into the wall for continuous power. Just leave the camera plugged in and you can record video for months on end without lifting a finger. Overall, the IPS-40 Dual USB Adapter with Night Vision Hidden Camera has a compact design that easily fits inside your bag or a purse. You can take the camera with you everywhere you go if you want to record video in multiple locations. If you’re traveling, just tuck the camera in your suitcase and you can record HD video in your hotel room. No matter where you are, the camera will watch over your loved ones or personal belongings while you’re out and about. Setting up a surveillance system in your home or office has never been so easy. 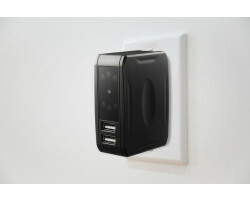 Just plug the IPS-40 Dual USB Adapter with Night Vision Hidden Camera into the wall and you’re ready to start recording. Keep an eye on what’s happening when you’re not around with the IPS-40 Dual USB Adapter with Night Vision Hidden Camera.